Hi everybody – I’m Chris. I grew up here, and have lived here for most of my life, and have a lot of passion and pride for the region. I was born in Pierce County, and grew up in University Place, which as I like to joke is the place without a university. I grew up watching KING 5, and have been fortunate enough to be working in this market, and in your homes, for almost two decades. 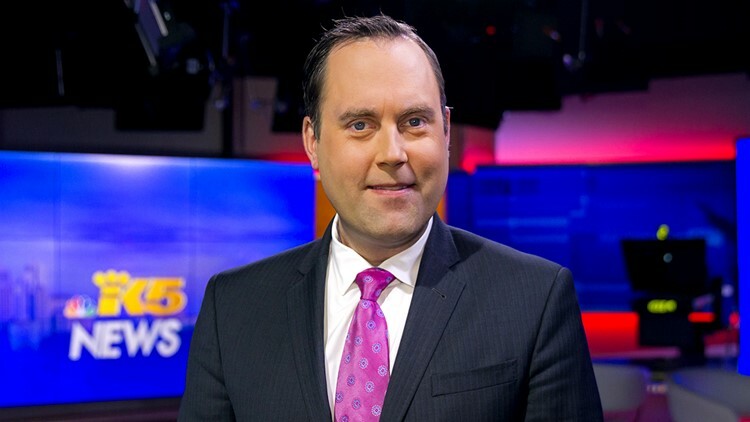 I am now the Chief Reporter at KING 5. I’ve traveled the globe in the pursuit of a story, whether it be the Dominican Republic to cover the Seattle Mariners' efforts there, or Russia, where I lived for a month covering the 2014 Winter Olympics. I’ve covered the Boston Marathon bombings and multiple national disasters, including the Oso landslide, wildfires, windstorms and the 2004 eruption of Mount St. Helens. But perhaps people know me for how I’ve walked the line between news and sports, and in particular the ongoing saga involving the building of a new arena in Seattle, and attracting the NBA and NHL to Seattle. I’ve traveled all over the U.S. and Canada following that story alone for over 10 years, popping up on radio and TV stations around the world to give updates. One day, we’ll have both teams in Seattle, and a new arena, or two. My peers have been nice enough to reward me with multiple awards for my coverage over the years, including handing me the Emmy as the “Best Reporter” in the Western Region, or the AP Award with the same name. Awards are nice, but I love social media too. You’ll find me on Twitter, Instagram and Facebook. But when I’m not on social media, I’m with my family, likely attending a sporting event, dining at a nearby restaurant and trying not to get caught checking out my Twitter feed. You can email me at cdaniels@king5.com.